Celebrate Easter in style with our luxurious dining and overnight stay packages. 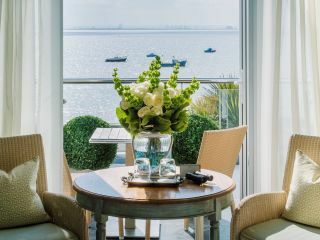 With an exclusive Easter A La Carte and Afternoon Tea Menu and boutique accommodation, where better to celebrate the bank holiday weekend than at The Roslin Beach Hotel. Dine in our award-winning two AA Rosette A La Carte restaurant and enjoy a three course Easter lunch with family and friends. With fresh Spring ingredients, our chefs combine food favourites and exquisite tastes, created around high quality and fresh local produce. Enjoy our bountiful menu from £35 per person, including a surprise gift! A £10 per person deposit will be required. Inspired by tradition, our Afternoon Tea is one of the most luxurious in the area, our pastry experts have created the ultimate treat to indulge in this Easter. With an array of mouth-watering finger sandwiches to decadent desserts, the whole party will be sure to have an unforgettable experience. As we'd love everybody to enjoy our dining, vegan and vegetarian options are available on request. 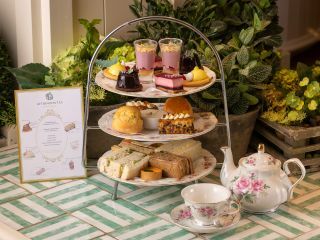 Starting at £30 per person for Traditional Afternoon Tea, we will require a £5 deposit. Spring into the bank holiday weekend with our magnificent Easter Package. This offer entitles guests to enjoy Good Friday Dinner, a luxurious Sparkling Easter Afternoon Tea on Saturday and Easter Sunday Lunch! Relax and rejuvenate at The Roslin Retreat this April. Our luxurious and professional retreat have 3 treatments on offer this Easter.